This blog post is inspired by the book I am currently reading, the Charisma Myth book by Olivia Fox Cabane. Here’s some quick tips to make you a more charismatic leader, especially in the world of entrepeneurship. Where do I start, with regards to charisma? Not sure if being a Pisces play a role, but my nature is less of competitive and more of nurturer and team player. 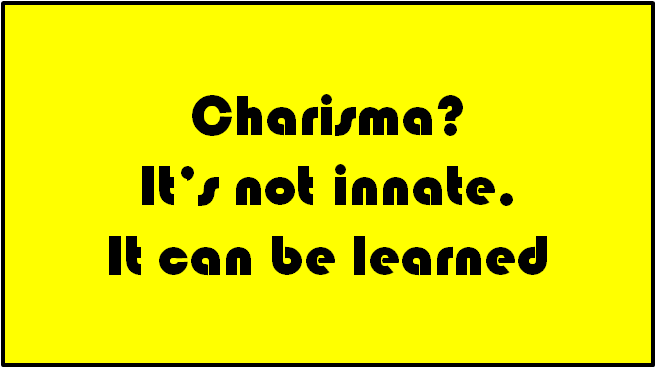 The mode of charisma that allows me to be more warm, personable and less authoritative will suit me better. ASK, what you want to achieve at the end of day. As I will share later, there are certain modes of charisma which will make people obey you and the others will make you more personable and therefore prompting others to warm up to you and share. “You don’t have to force yourself into one particular style to be charismatic, and I firmly advocate not doing something that goes against your values: it would only work against you. 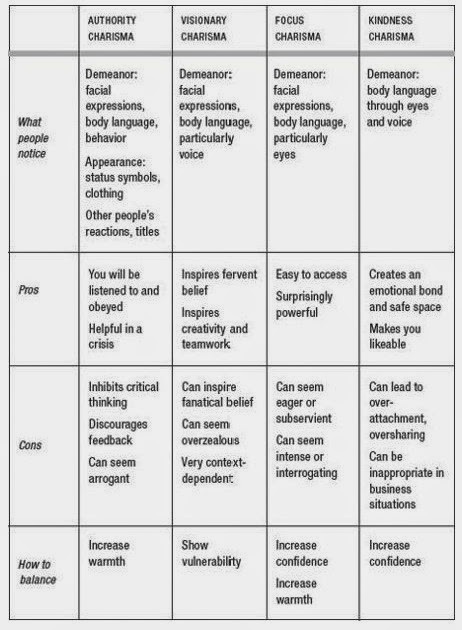 Trying to force yourself into a charisma style that really isn’t right for you can be as unpleasant as it is counterproductive.